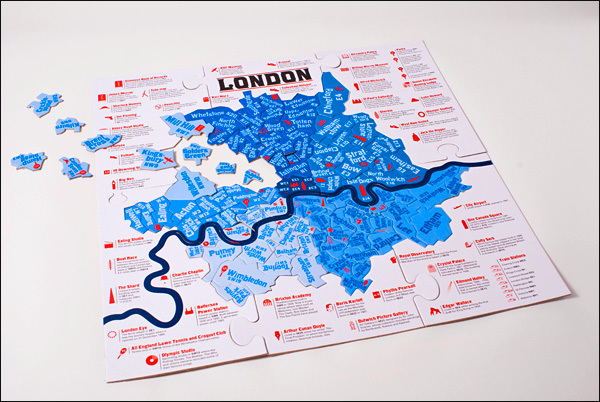 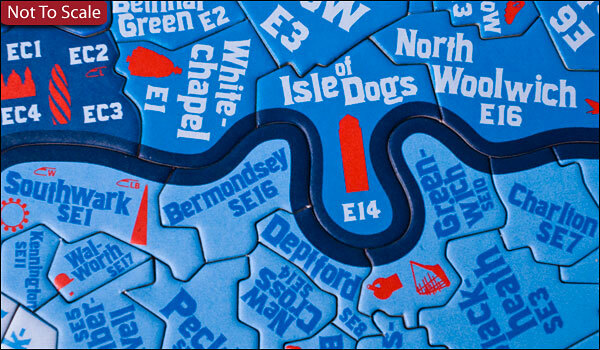 The London Postcode District Jigsaw is a 120 pieces puzzle, featuring a map of London with postcodes, the names of the different boroughs, and 47 places of interests marked with red illustrations. The finished puzzle measures approximately 45x45cm and the coverage extends from Hanwell W7 and Mortlake SW14 in the west, to East Ham E6 and Thamesmead SE26 in the east, from Southgate N14 in the north to South Norwood SE25 in the south. 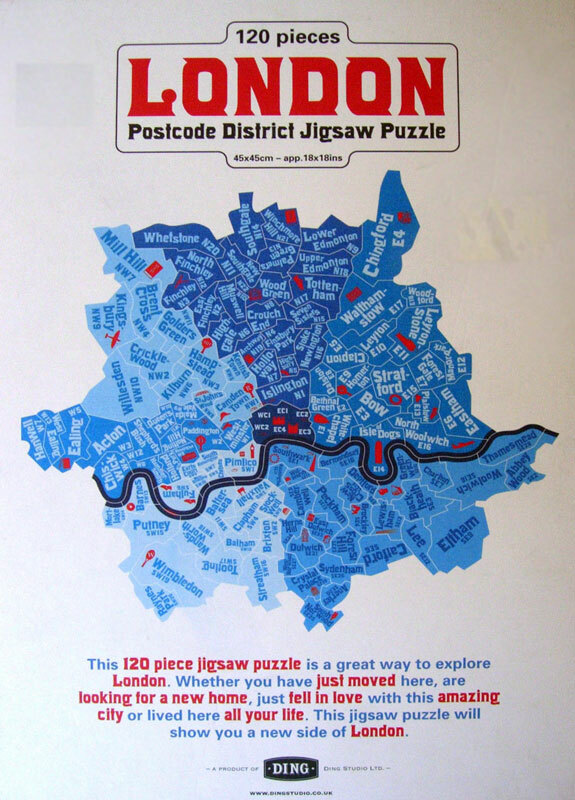 Please note only the first part of the postcodes is provided.